** Originally printed in the 1989 Crabbet Yearbook. *Raffles was given to Selby Stud by Lady Wentworth when he was believed to sterile. 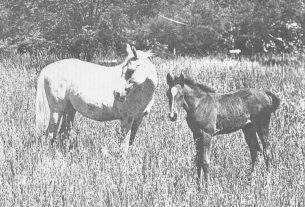 When Lady Wentworth bred the Skowronek daughter, *Rifala, back to her sire in 1925, she could not have begun to imagine the influence that the resulting foal would have on the Arabian breed. When *Raffles was foaled his quality was apparent, but because of his small size Lady Wentworth planned to use him as a pony sire. 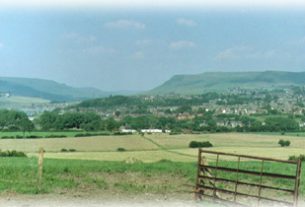 In England good ponies are valued highly, as most juniors begin riding them and the fact that a horse is a sire of outstanding ponies is considered to be quite an accomplishment. *Raffles would have almost certainly sired outstanding ponies, except for one fact. He proved to be sterile! 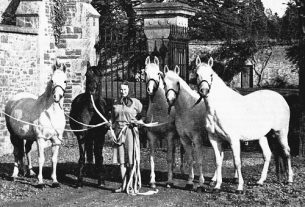 While Jimmy was off showing the Saddlebreds the grooms and stable boys would often try to train the Arabians as five gaited horses. Their efforts were unsuccessful on *Raffles and their harsh methods left him quite a tough horse to handle. Until the day he died he considered the presence of a stick or whip in a person’s hand to be an overtly hostile gesture and retaliated in kind. Although he was never five gaited he did have extremely good action. In 1937 Selby Catalogue stated “His natural action is exceptionally high,” – quite a compliment coming from a catalog also containing Saddlebreds. *Raffles won the three gaited championship at the 1933 Nashville National Arabian Show. Lois and Jimmy both commented that despite his handling *Raffles was an intelligent horse. He would do anything you wanted if only you asked nicely. Astute breeders like William States Jacobs, Gina Manion, and Herbert Tormohlen quickly recognized *Raffles’ potential as a sire and began sending their best mares to him. Over a period of time the general reluctance to use him because of his small size was overcome and he became the premier breeding horse at Selby Stud. His foals were in great demand and although he only sired 122 registered foals they include horses like the stallion, Indraff, who Bazy Tankersley purchased for the then unheard of price of $10,000. It proved to be a good buy, though, as Indraff probably appears in the pedigrees of more national winners than does *Bask. As a 23-year-old *Raffles fractured a rear leg. Through casting and slinging the leg healed. He was then sold to Alice Payne (Asil Arabians) who had tried for years to purchase him. She began an extensive inbreeding program using him as essentially the only sire line in her herd. He died at her ranch in California in 1953, at the age of 27. *Raffles certainly left his mark on the Arabian horse in the USA. Bill Munson called *Raffles “the best shortcut to a good broodmare band – when you bred to him all of the foals were good!” Paul McDannald made numerous trips in the early 1960′s to see all of the living *Raffles sons. “They were the most consistent group of horses I have ever seen, and their dams were of widely varying quality. He has to be the most prepotent horse I ever saw!” Lois adds “When looking at a group of horses in a pasture you can always pick out the *Raffles descendants – not just the sons and daughters. They just have a unique look that goes on for generations.” This prepotency has carried on to modern days through the efforts of breeders who have linebred and inbred *Raffles blood to unheard of extreme without apparent ill effect. Skowronek, the sire of *Raffles, founded the leading sire line of U.S. National Champion Stallions (12 out of 32 – including Khemosabi, the leading living sire of champions) and leads the breed world wide as the leading sire line of national champions. *Rifala, *Raffles dam, was a champion in Great Britain as well as champion mare at the 1933 National Arabian Show in Nashville, TN. She also produced Image and Rifage – both sires of national winners – as well as the wonderful mare Ragala whose daughters produced national winners and numerous champions. Is it any wonder then, that of the *Raffles get leaving offspring 43 percent produced national winners? 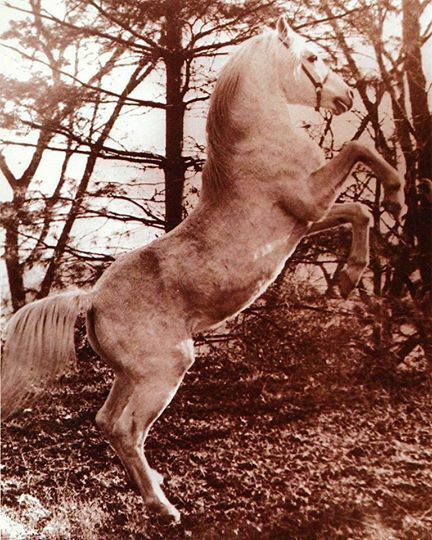 Is it any surprise that although he died five years before the first U.S. National Championship Show he sired a U.S. Reserve National Champion Mare Rose of Raswan, and U.S. Top Ten Stallion – Mraff. Is it any surprise that his descendants are still noted for their type, correctness, quality and presence? *Raffles is probably best summed up in the words of the Selby Catalogue, “Under all circumstances he makes such a perfect picture as to be truly fascinating – a picture Arab if there ever was one. His haughty carriage and vim make him the cynosure of all eyes…His kingly and animated demeanor would seem to indicate that he appreciates his superb superiority and his royal lineage, tracing further back than any human dynasty. The ideal Arab.”!